Within a space of a couple of years, Rashid Khan has emerged as the best spinner in the limited overs format. His unorthodox leg spin bowling has bamboozled batsmen all over the world. His fast arm speed coupled with the fact that he relies on his fingers not wrist like traditional leg spinners make him a nightmare to play against. He is no slouch when it comes to batting as well and has an ability to launch a scathing attack on the bowlers late in the innings. Rashid Khan’s schooling and other education background are unknown. Siblings – He has 10 siblings. 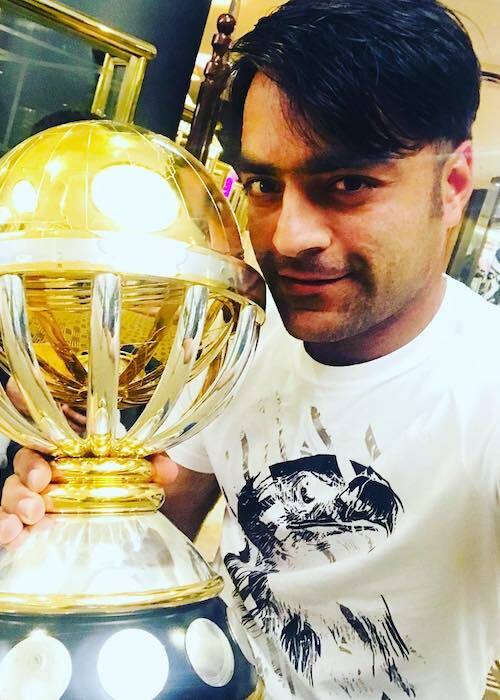 Rashid Khan is represented by Insignia Sports International. 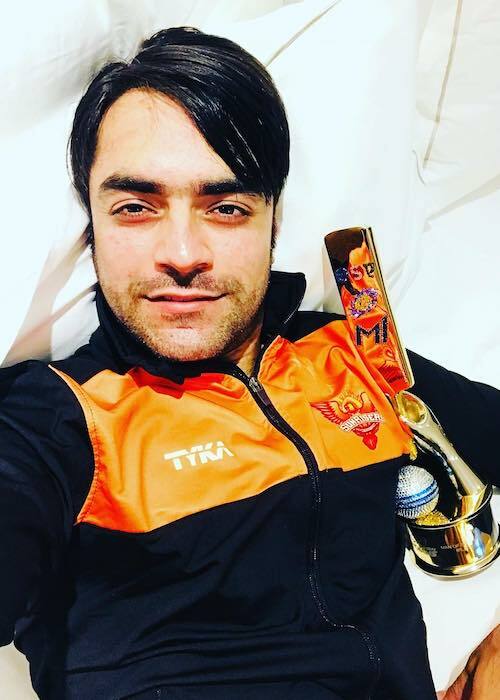 Rashid Khan has kept his focus firmly on his young cricketing career and has refrained from saying anything about his private life, which makes it difficult for us to say anything about his dating history and life. Rashid Khan has inked a personal endorsement deal with Puma. He also uses his social media activity to promote their products. He is a devout Muslim. Being arguably the most popular and influential Afghan cricket player. He has played in some of the most popular T20 leagues including IPL, Big Bash, and CPL. He has played for Sunrisers Hyderabad, Adelaide Strikers, and Guyana Amazon Warriors. Being the best leg spinner in the limited overs format. He has emerged as a match winner for his teams in several key matches. In October 2015, he made his T20 international debut in a match against Zimbabwe. He grabbed his first wicket after dismissing Sikander Raza via caught and bowled. In October 2015, he made his ODI debut for Afghanistan against Zimbabwe. His sole wicket in the match was TS Chisoro and he gave only 30 runs in his 10 overs as his side won the match by 58 runs. 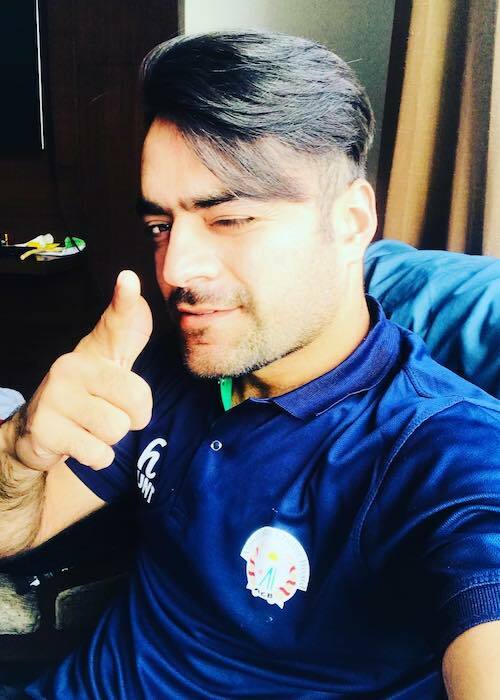 In January 2018, Rashid Khan played his first test match against India at Bengaluru. It was a tough initiation for the young bowler as he was taken apart by Shikhar Dhawan and milked for runs by Murali Vijay. However, he eventually managed to get his act together and for his first test wicket, trapped Indian captain Ajinkya Rahane in front of the wickets. 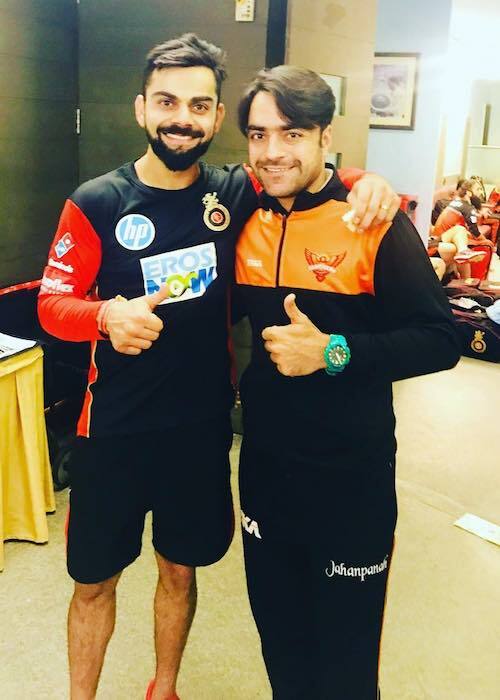 Rashid Khan has been seen hitting the gym multiple times where he works on his full body. 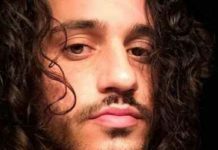 He lays special emphasis on his core workout and has posted videos about the same on his YouTube. Early in his career, he used to play as an opening batsman and later played in the one down position. He used to bowl as a part-timer. When he started his domestic career, he impressed team coach with his leg spin bowling and hence, he was shifted down the batting order. He has revealed in his interview that all his brothers are leg spinners as well. In his first 3 matches, he managed to take 21 wickets, which led to team management and coach deciding to develop his bowling. He got into cricket because of his older brother, who was a huge fan of cricket. However, his oldest brother wasn’t a fan of his younger siblings playing cricket. While growing up, he wanted to become a doctor. He was good in academics and used to be one of the top 5 students in the class. He didn’t decide to completely focus on his game until he went for the national trials and was selected in the under-19 squad. His family wasn’t very supportive of his decision to play cricket. It was after he was selected for the senior team squad for 2016 ICC World Twenty20, they started supporting him. After he saw Imran Tahir went unsold for the 2017 Indian Premier League (IPL) draft, he felt he didn’t have any chance of getting picked up by any side. However, to his surprise, Sunrisers Hyderabad decided to shell out 4 crores in February 2017 to secure his services. His hefty price tag also made him the first Associate player to fetch the final bid of over 4 crores. In his second IPL match, he announced his arrival in the league by winning ‘Man of the Match’ accolade against Gujarat Lions. He had managed to dismiss Aaron Finch, Brendon McCullum, and Suresh Raina. When he made his international debut against Zimbabwe, he had just turned 17. In March 2018, he got an opportunity to captain his national team for the first time as he took on reins for the 2018 Cricket World Cup Qualifier match. Also, with the age of 19 years and 165 days, he became the youngest captain in the history of international cricket. In the final of 2018 Cricket World Cup Qualifier, he grabbed his 100th ODI wicket by dismissing West Indies batsman Shai Hope. He became the first player to reach the milestone of 100 wickets in 44 matches. The previous record holder was Mitchell Starc who had taken 52 matches to reach the milestone. At a young age, he had to move to Pakistan for a few years along with his family because of the brutal Afghan War. He has established the Rashid Khan Foundation to support Afghan children through various initiatives including education and healthcare. He also aims to provide clean water through his foundation. Follow him on Facebook, Twitter, YouTube, and Instagram.